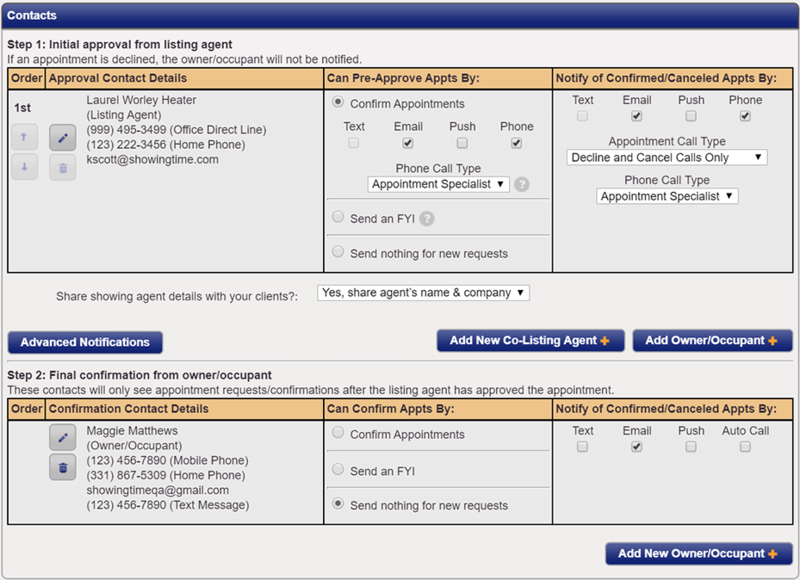 As a listing agent who typically accompanies the showing agent on all appointments, you may want to see the appointment request before your sellers to make sure it works with your schedule. Or, you may want to allow a seller to approve an appointment before the occupant sees the request. For both of these situations, you can configure the listing to assist you. Initial approval from the listing agent or primary contact – These contacts will be notified of the appointment request before the final confirmation contacts. 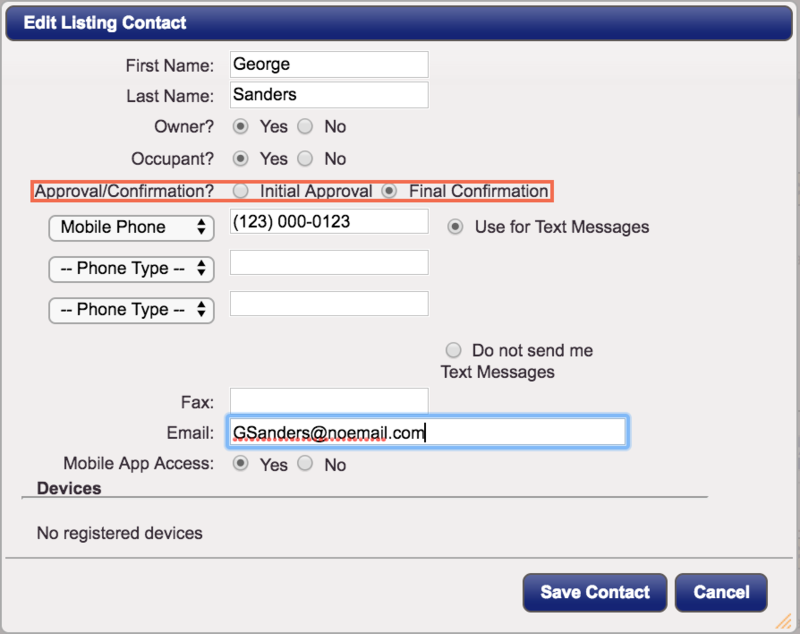 If the request is not approved by these contacts, the final confirmation contacts will not be notified of the request. Final confirmation from owner/occupant – These contacts will be able to give final confirmation on appointment requests after it has been approved by the initial contacts. You can also choose to set this preference while creating or editing the seller.